Grubhub is the nation's leading online and mobile food ordering and delivery marketplace, serving more than 1,700 U.S. cities and London. 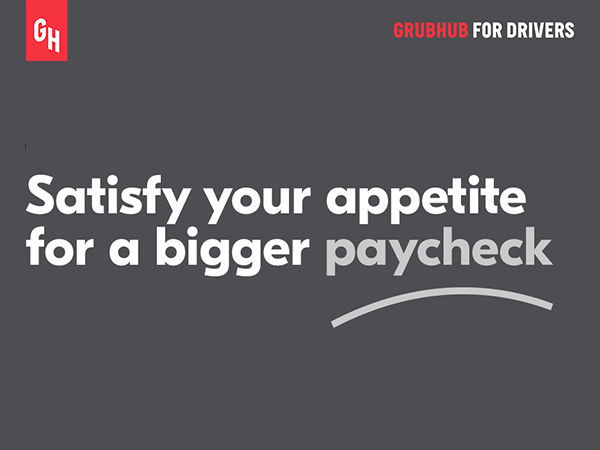 Partnering with Grubhub is a great opportunity for anyone looking for a flexible schedule. Delivery partners will be independent contractors. Delivery partners must have a valid driver's license, and minimum auto insurance and complete a background check. 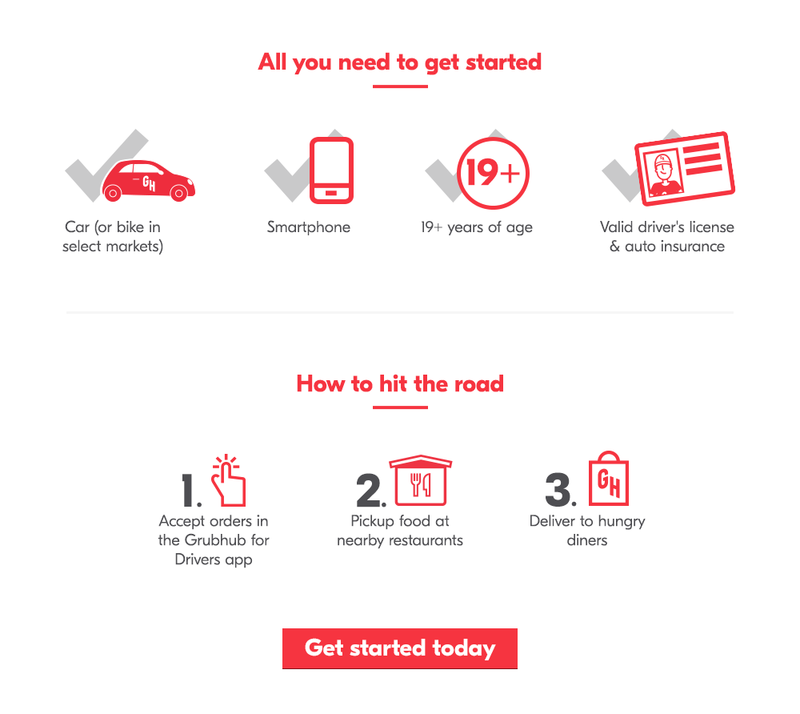 Delivery partners will use their own reliable car or bike, iPhone or Android phone and their data and text plan. Previous delivery experience is not required, but we encourage drivers and bikers from other delivery or ridesharing services such as UberEATS, Sprig, Caviar, Munchery, Eat24, DoorDash, Google Express, AmazonFresh, Instacart, Lyft, Sidecar, Maple, Munchery, Amazon and Uber. Let's get you on the road. Apply today! *Hourly minimum if requirements met.